The Voyager class Yacht is essentially a large shuttle with accommodations suitable for diplomatic personnel on short duration interplanetary missions. 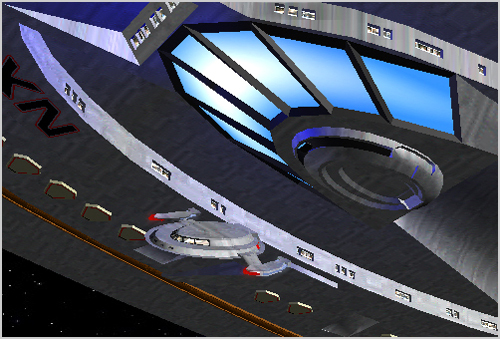 The yacht is docked to the underside of the main Quantum torpedo turret of the Voyager class, with access via a large roof hatch. 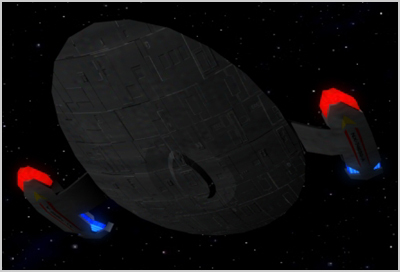 The ship can cruise at relativistic speed, although Starfleet practice is to limit all non-critical missions to no more than 0.25 c in order to minimize time dilation effects. Like all of the new generation, it is a warp capable design intended to be capable of short and medium duration interstellar missions as well as interplanetary trips. 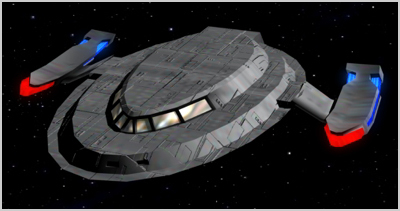 The Yacht is capable of warp 9 in an emergency, but its normal cruise speed is warp 5, giving it the same general mission radius as a Danube class Runabout. It is capable of atmospheric operation and landings. 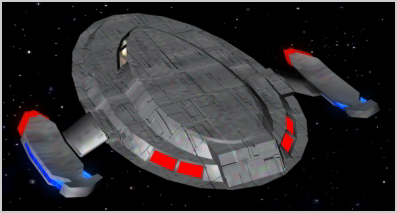 The standard armament is 2 forward firing pulse phasers, and the yacht is capable of firing tachyon bursts in an emergency and is equipped with shields for defensive purposes. In practice, the yacht is not often used. Insystem operations are of such duration that Captains have generally preferred to use shuttles for these kinds of roles.